May Devotions to the Blessed Virgin Mary refers to special Marian devotions held in the Catholic Church during the month of May honoring the Virgin Mary as "the Queen of May". These services may take place inside or outside. 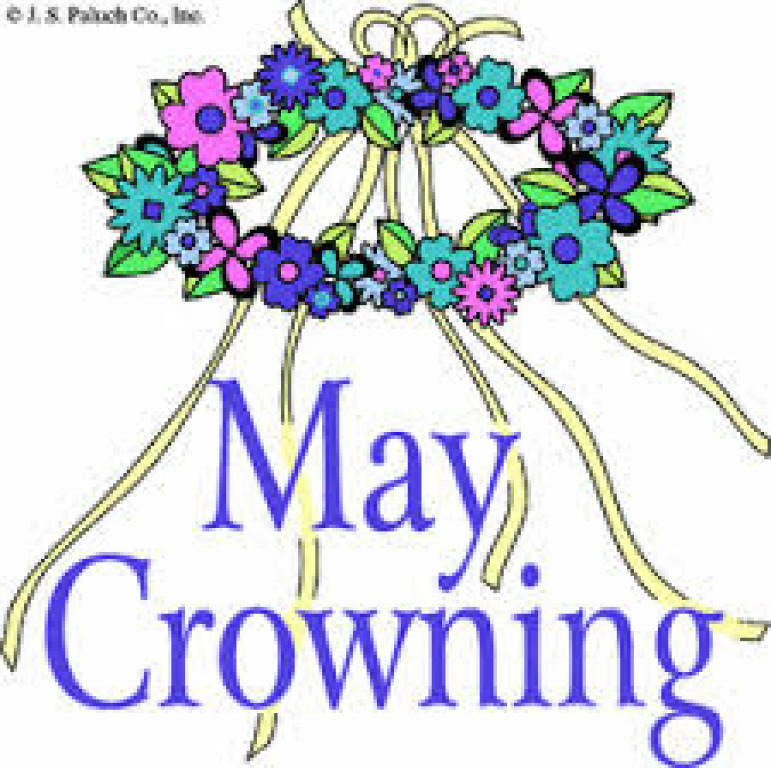 A May Crowning is a traditional Roman Catholic ritual that occurs in the month of May. As the mother of god, the Virgin Mary has a unique posi9tion among the saints, indeed, among all creatures. She is exalted, yet still one of us. See the Church Calendar on the Home Page for Dates and times of May Crowning.